RR support Sheffield school EcoExpo with free shredding! 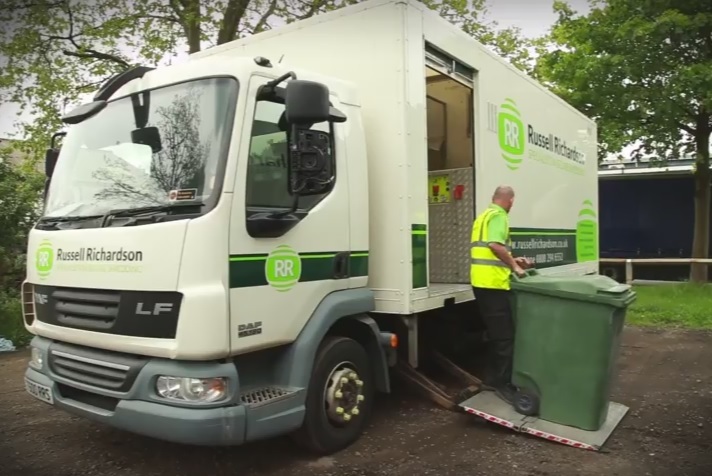 Shredding and recycling specialists, Russell Richardson will be supporting Sheffield’s High Storrs School inaugural Eco Expo on Saturday 23rd March by providing FREE mobile shredding services. The EcoExpo@HighstorrsSchool, sponsored by Randstad, will be taking place on Saturday 23rd March, 11am-6pm and is the first event of its type for the Sheffield school with the aim of allowing local people to access information needed to make ethical living choices. All money raised by the event will go directly back into school to improve their green credentials. •	Big ‘switch’ exhibition from energy suppliers, home improvement agencies, green and eco organisations etc. •	Food and drinks will be provided by eco-friendly local caterers: street food chef and PJ taste. •	Russell Richardson FREE mobile confidential waste shredding. Russell Richardson will be attending EcoExpo@HighstorrsSchool for the duration of the event with the mobile shredder providing free shredding between 11am – 1pm. Please note that Russell Richardson will be unable to provide certificates of destruction for free shredding services provided at the eco expo.